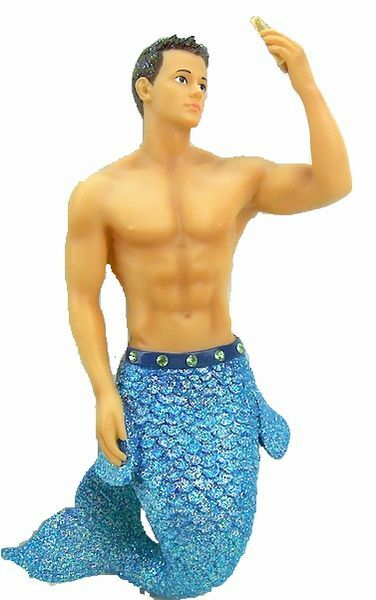 This Merman hunk is staking a selfie, probably to place on his Instagram account or maybe his personal ad! Make sure to get those abs in the shot! Merman Ornament Mr. Selfie. Hand painted and decorated resin ornament.